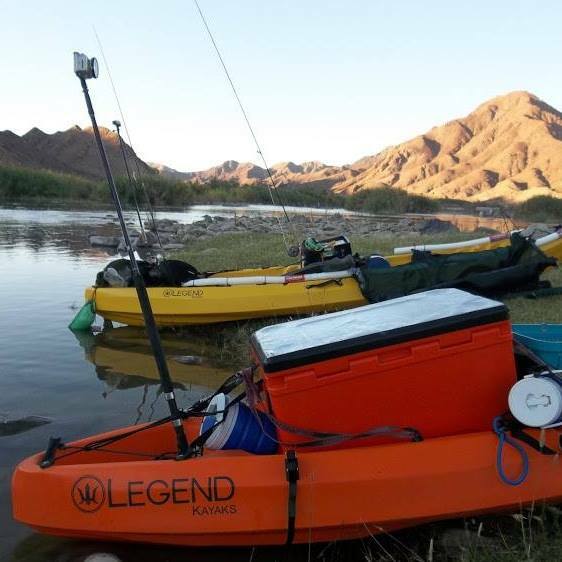 Legend Kayaks™ is a proudly South African manufacturer of world class watercraft. We have been making polyethylene kayaks since 2006, with our product range now expanding to canoe's, stand up paddle boards(Sup's) and catamarans. We have a solid base of kayaks ideal for beginner paddlers, as well as crafts for the more serious. Our most distinct advantage is our passion for creating the ideal fishing platform for our clients application. We have a large network of kayaks shops around South Africa, and the world, distributing our kayaks. We strive to engage with our customers to create a lasting relation. Legend Kayaks is driven by a passion for fishing. We have the experience to make the ideal kayak, customised with the perfect accessories and fittings to target the species of your choice. Every fishing application has an ideally suited kayak with accessories and fittings to compliment these waters. Although we recommend keeping it simple, when starting out. It is important to get good honest advice when purchasing your fishing kayak. Buying a Legend Kayak is for life!